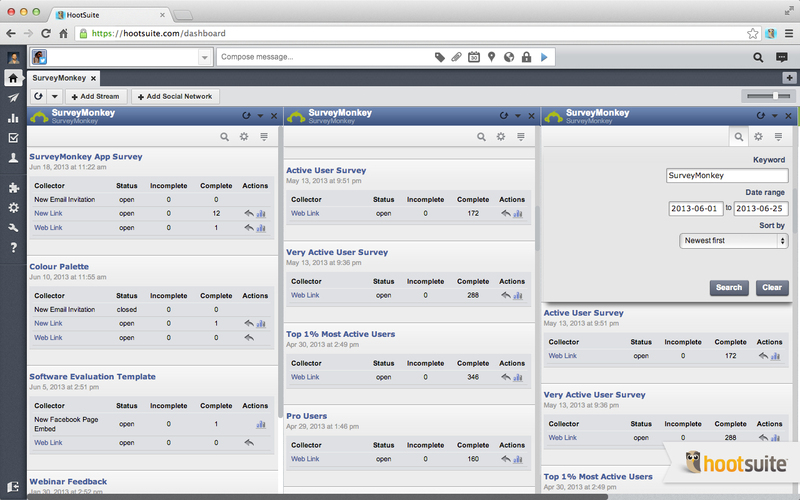 The leader in online surveys is now available for Hootsuite. 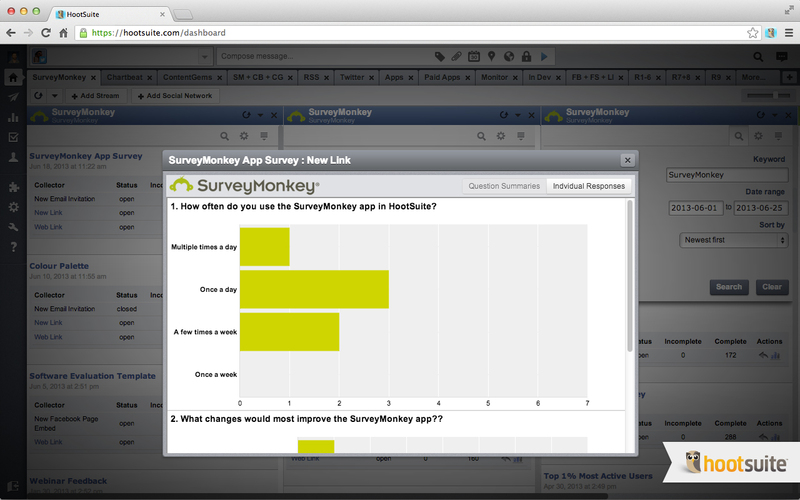 The SurveyMonkey app allows you to view a stream of your surveys and results in real-time, including survey status and the number of surveys started and completed. The app also provides detailed survey summaries and responses and allows you to share surveys to your social networks in Hootsuite.